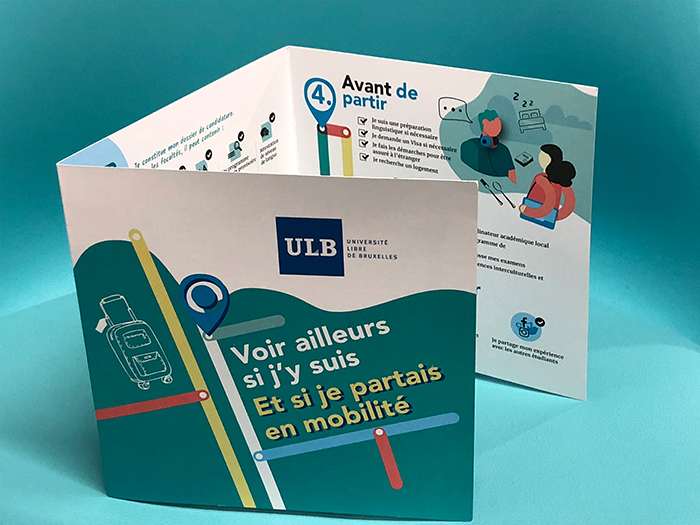 The objective of Brussels university ULB’s student Mobility Office (SME) is to promote and manage students’ mobility, whether they are ULB students interested in studying in international universities or vice-versa. 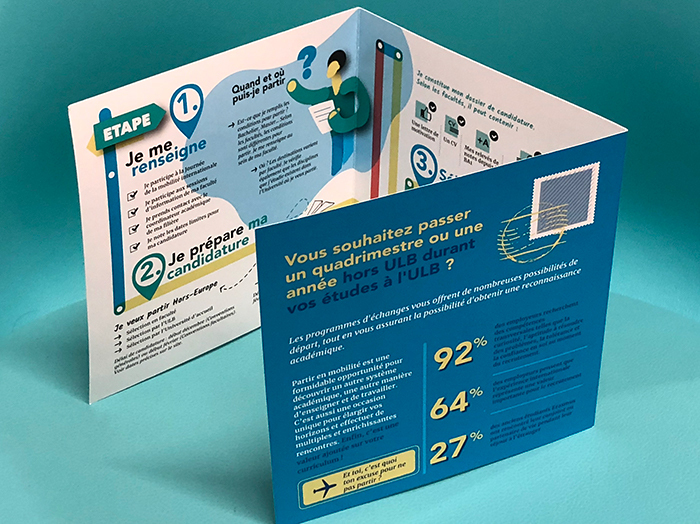 We were tasked with the development of a ‘map’ to explain the ULB student exchange programme. 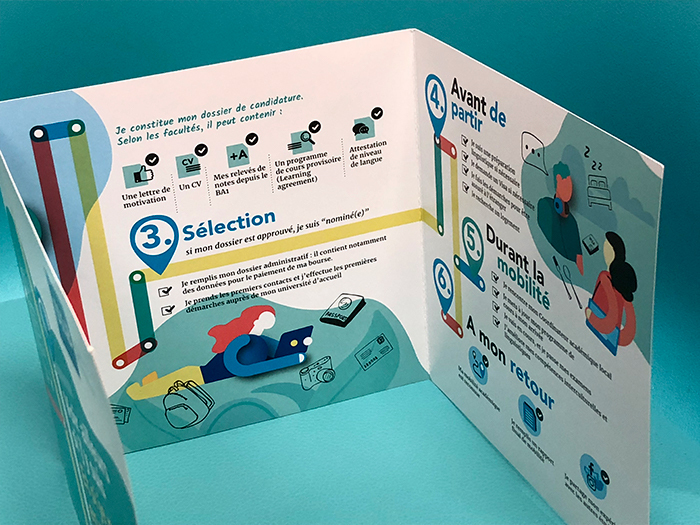 We achieved this goal and developed an infographic that visually shows students in 6 steps how to apply, what is the selection procedure and other essential information to consider during and after the study trip.